Shiny Abomasnow in game: 49 Who? Important notice! Pokemon Shiny Abomasnow is a fictional character of humans. Abomasnow (Japanese: ??? 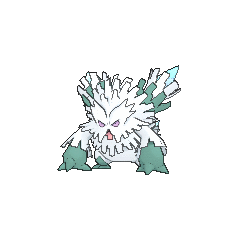 ?— Yukinooh) is a dual-type Grass/Ice Pokémon introduced in Generation IV. 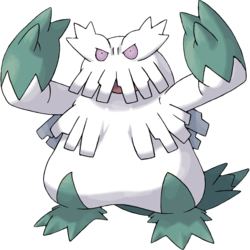 Abomasnow is a large, bipedal creature covered in shaggy, white fur. It has pale purple eyes with bushy eyebrows and long strands of fur covering its mouth. Two tufts of longer fur grow on both its back and chest, with the chest fur being longer on the female. Its hands, feet, and tail are dark green and spiky, similar to the foliage of an evergreen tree. On its back are four green spikes that resemble pinecones. Abomasnow lives in snowy mountains and appears only when snow flowers bloom. Once the flowers die, it retreats to isolated areas. It is able to compose blizzards to hide itself. 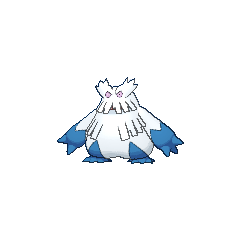 Abomasnow appeared in Pikachu's Ice Adventure. Candice's female Abomasnow first appeared in Classroom Training!. She was one of the Pokémon that Candice used in the following episode during her battle against Ash. Abomasnow was able to knock out Staraptor and Grotle but ended up losing to Chimchar. A male Abomasnow appeared in Survival of the Striaton Gym! under the ownership of Morana. A male Abomasnow appeared in Over the Mountain of Snow!. 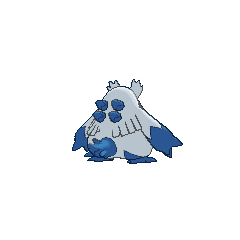 Wulfric has a male Abomasnow which first appeared in All Hail the Ice Battlefield!. 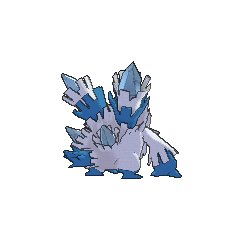 He appeared again in A Real Icebreaker!, in which he was seen Mega Evolving into Mega Abomasnow. Abomasnow's debut appearance was in Giratina and the Sky Warrior where it helped Ash's friends to stop the glacier. A Coordinator's Abomasnow appeared in Dawn of a Royal Day! participating in the Battle Stage of the Arrowroot Town Pokémon Contest. An Abomasnow appeared in the beginning scenes of Zoroark: Master of Illusions. 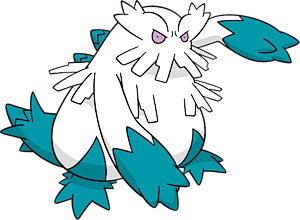 An Abomasnow that can Mega Evolve into Mega Abomasnow appeared in Mega Evolution Special I.
BW140 Abomasnow Ash's Pokédex Abomasnow, the Frost Tree Pokémon. Abomasnow live quietly on snow-covered mountains. They compose snow storms to hide themselves. An Abomasnow appeared during a flashback in The Redemption as one of the many Pokémon fighting in the great war of Kalos, 3000 years previously. Two were later seen petrified after the ultimate weapon was used by AZ to end the war. An Abomasnow belonging to Candice was first seen when she took it out of its ball to save Platinum after she fainted from the cold on her way to Snowpoint City. Later, she used it in her Gym match against the same girl, where it lost to her Lopunny's Jump Kick after Candice switched out Froslass. 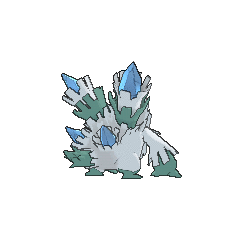 Wulfric uses an Abomasnow in the X & Y chapter, where it was used in an attempt to stop the Ultimate weapon from activating. 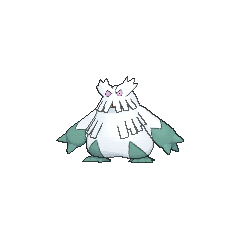 Mega Abomasnow has a unique base stat total of 594. Abomasnow appears to be based on a cross between an evergreen tree covered in snow and a yeti. Yukinooh may come to mean ??? yuki no o (snow king). Mandarin Chinese ??? Bàoxuewáng From ??? bào?feng?xue and ? wáng. Literally "Violent snow king"